There are a lot of tables describing the activity of a random encounter out there, some of them really good, but I went ahead and put one of my own together anyway. I like to have a balance between a reasonable number of different results, some room for me to improvise around the results and also a curve that averages towards more “reasonable” results. A bit boring, but I like how it creates a believable dungeon and it also means the players’ can intuit something about the dungeon and make smart choices based on this. 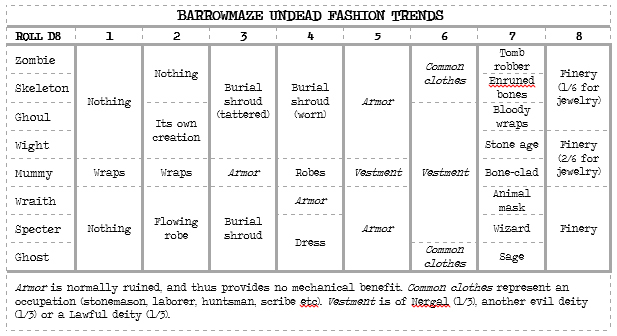 This one is also weighted to provide a separate result for mindless undead, which is really handy when running the Barrowmaze. Random number of creatures @ D8x10% HP. Less inclined to fight, on different errand. Roll on same table. Noisy, easily detected. Wary. Party might be dinner and/or marks. Sure, I could think on my feet as I have so far, but why not a table instead. Nothing too meaty, just something to give me a starting point. Find a suitable row on this – there should be one, most of the special undead types will slot nicely into one of these. Column seven feels like it might be “one use”, at least for some of these entries, but I’ll see when I get to use it in play. Sorry for making this an image, but the tables formatting in WordPress is just too much of a hassle. I’ve provided a PDF for better usability and printing, if anyone should want it. What’s up with these undead? I’ve been running Barrowmaze with one of my groups recently; they’re venturing into its depths looking for a cache of Elven Spell Gems needed to use a magical portal, but I wonder if they’ll want to leave even after finding that cache considering all the treasure they’ve found so far. 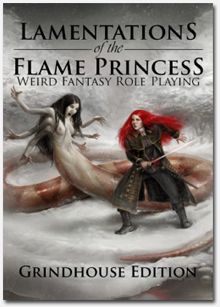 This module is really good, and it mostly contains everything you need to run it. I’ve been making use of my recent Spicing up Randomness rules for random encounters, but even with foreshadowing there are still a lot of encounters with “generic” undead in the catacombs (especially considering how thorough and noisy my players are), and I wanted to use something simple to spice up some of the “1D6 zombies” encounters. Thus, I’ve created the table below. The way I use it is to roll a D30 on it, with 13-30 meaning nothing out of the ordinary, but that’s really just a matter of taste. Some of these refer to rules here on the blog (such as the “treat as Lung Sickness” bit) but they are probably fairly self-explanatory and you should probably be able to make a ruling on the fly. 1 An Enchanted Weapon is either (mindless) stuck in or (intelligent) wielded by one of the creatures (GM’s choice what weapon). 2 The creatures are Armored, or more heavily armored than usual if they normally wear protection. Treat their AC as two steps better. The actual armor is rusted, rotted or worn and can be of any specific type. 3 The creatures are stalked by an entourage of 3D6 Giant Rats that devour the scraps they leave behind. They will fall upon and devour any fallen PC’s, and possibly attack the party after combat if the PC’s appear sufficiently weakened. 4 A Lesser Demon is bound in one of the creatures (quite visibly, the creature has a large red pentagram painted on its chest). If the pentagram is disturbed, such as by slaying the creature (except perhaps using called shots or similar), the demon (6 HD, AC 15, 2@+6,D8, Fire Breath 3/day, 20’ cone for 2D8 dmg, save for half) will be released into this plane. Roll Reaction at -4. An intelligent creature marked in this way will use it to threaten the party and attempt to make them release the demon, and then flee to escape its wrath. 5 The creatures are dressed in Clerical Robes and wear gilded holy symbols of an appropriate lawful deity. They possess no special powers. Each holy symbol is worth 50 SP. 6 A number (2D4) of Giant Centipedes live on or in the creatures in a symbiotic relationship. These centipedes will remain on the creatures until brought into melee range, and will then attempt to scurry onto opponents and paralyze them with their venom. 7 One of the creatures has an Arrow of Dragonslaying stuck in it. 8 The creatures are, for some reason, chained together. They make a lot of noise while moving around, they move slower than normal and the chain can possibly cause them any number of practical problems. Intelligent undead will know to minimize these problems, and perhaps even use the chain to their advantage. 9 The creatures are dragging a small cart along. Mindless undead will simply drag it behind them, set on some ancient task now probably pointless. Intelligent undead will use it as a mobile food supply, and in it can be found random valuables worth 500 SP along with a lot of bones and disgusting bits. The cart itself is rickety and worn, but functional. 10 One of the creatures is exceptionally large, at least 7’ tall if the beings are of human size. 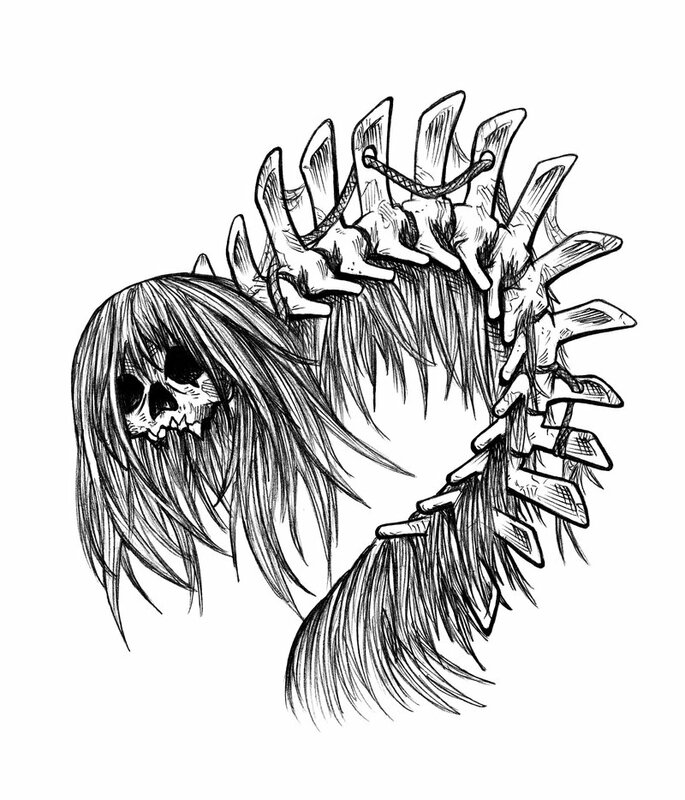 This creature is hung with decorative bone jewellery, and automatically has maximum HP. 11 The creatures carry a Fungal Infection which has covered them in strange growths. This has granted them an extra HD each. Spores release in a 5’ radius cloud on a successful hit which causes physical damage (i.e. not fire, cold or the like). Those caught in a spore cloud must make a Fortitude save (one per round) or begin to choke (-4 to all activity for a Turn) and become infected with a Fungal Rot (treat as Lung Sickness, but accompanied by growths which spread infectious spores as per above). 12 Someone has hung a string of bells on one of the creatures. Mindless undead will announce their approach from far off and cannot surprise anything. Intelligent undead will attempt a diversion, hiding in ambush while one of them skulks around in a room while wearing the bells.